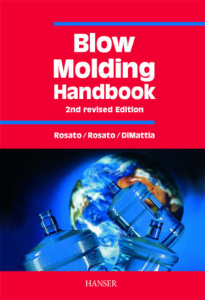 The second edition of this widely accepted book provides a general understanding of the blow molding process. It offers a practical, hands on approach, concentrating on real life, day to day problems faced by those working to create cost effective blow molded parts. The author uses an integrated approach to plastic part design, considering material properties, process benefits and limitations, mold engineering, decoration, finishing, and assembly techniques, while always keeping a focus on manufacturability issues. 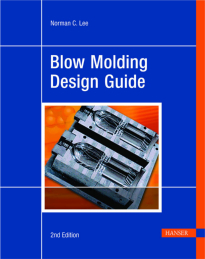 Norman C. Lee, a blow molding consultant, is the author of textbooks and video that are used in his seminar courses. Mr. Lee received an HNC from Northampton College of Technology in England and has been involved in the plastics industry since 1950. During his career he has held various tooling, design, and research and development positions Carolina Enterprises, Inc., Fisher Price Toys, and Plastic Omnium Zarn. His main focus for the last 20 years has been in blow molding. Mr. Lee has been granted 30 U.S. and foreign patents and has been and still is active in SPE in the Plastic Environmental, Blow Molding and Plastic Design and Development Divisions. Author: Rosato, D., Rosato, A., DiMattia, D.
This book has become an industry standard as it provides insight to critical areas such as product design, meeting performance requirements, reducing cost, and zero defect targets. The information presented is of value to fabricators, designers, and engineers and it also provides a firm basis for the beginner. The intent is to provide a complete review of the important aspect of the blow molding process that goes from the practical to the theoretical and from the elementary to the advanced.